Since 2014 a fresh wind is blowing through the streets of the ever so calm city of Middelburg, the hometown of PEER. 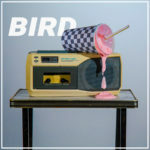 This fresh breeze of air is a mixture of energetic indie rock and catchy Britpop. The four band members are young but far from fresh faced. Shortly after its foundation the band receives multiple awards and plays gigs at amongst others Concert At Sea. The release of debut EP Mad For It! (2017) for which the band teams up with producers Huub Reijnders and Peter Slager (BLØF) brings the band to national TV and radio (amongst others daily talk show DWDD and radio stations NPO Radio 2, NPO 3FM). The single I Don’t Wanna is featured in the worldwide campaign for the Mercedes AMG starring British racing driver Lewis Hamilton. Many shows including a full festival season and a show at the Cavern Club in Liverpool are next and to top it all off the band travels to India during the end of 2017, where an extremely excited audience welcomes them. During the beginning of 2018 PEER makes waves once again with two singles, the energetic You Can Count On Me To Let You Down and the sunny Bird. With these songs the band shows its enormous growth since the release of Mad For It! with loads of variation and a strong sense of melody and sound. 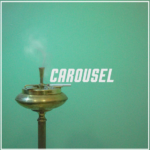 With the release of the single Carousel PEER announces its debut album, Laughing About It Is Far More Exciting. The sound is unmistakably PEER, but on the album the band shows its more diverse sounds and its ability to slow down every once in a while. Second Thought Intelligence looks back on red flags from a past relationship, Superglue is an ode to PEER’s inspirations and with the 8-second-long interlude Pills the band splits the album into two parts. For the remarkably calm closing track Siren the band members draw inspiration from the book Sirenen by author Jan Cremer in which the writer looks back on the on-off relationship with his first true love. For the recordings of the album the band travels to Mechelen, Belgium together with producer Huub Reijnders and BLOF bass player Peter Slager. In the Dutch city of Haarlem the band adds the finishing touches to the album, resulting in the 12 tracks on Laughing About It Is Far More Exciting.